Born and educated in Karachi Major Ahsan attended military training at P A F College, Sargodha and Pakistan Military Academy in 1991 where he graduated, obtained a Law graduate and MBA in management information systems. Starting his military career in a self-propelled Artillery unit Major Ahsan had a distinguished military career Spanning to Spanning over 23 years of rich and diverse experience in field, staff, instructional and operational assignments. During the service also had the honour and opportunities to serve the Nation in relief and rehabilitation tasks during the hard times of natural calamities of flood, 2005 earthquake and operations in aid to civil administration for establishing and maintenance of law & order standards. Retiring from the military in December 2014 Major Ahsan has always been focused on maximizing performance and optimizing resources through innovation and integrity. His passion and commitment is to serve the under privileged people with equal rights to health, education and happy life. 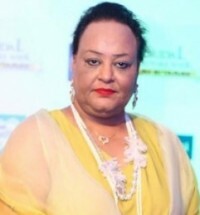 Mrs Humayun who was born in Rawalpindi completed her education and Graduated from Karachi. With a highly Dynamic & enterprising personality Mrs Humayun has served in the following positions including Associate Member of the Pakistan Institute of Management, Chairperson & Vice Chairperson of various Standing/Bilateral Committees of FPCCI (Federation of Pakistan Chamber of commerce & Industry, Founder & Vice Chairperson of Fashion Industry Committee of FPCCI. As one of the strongest and most influential supporters of human rights in Pakistan, Mrs Humayun has also served on senior positions including the Cancer Society, ACALP, Kidney Center and Hamara Pakistan; a Socio-Economic Forum. Mrs Humayun’s areas of interest and focus include empowerment of Women in Pakistan, Uplifting Rural Women by Education & Health, renewable and green energy for Rural areas. 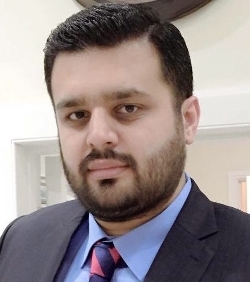 Samir Mir Shaikh, who is originally from Karachi, attained a Bachelors Degree from The University of Houston and Masters in Business & Finance from Karachi University. 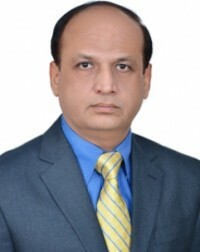 He also holds the esteemed FLMI designation in Corporate Law and Legal Systems and is currently appointed as the Justice of Peace, by the Chief Minister Sindh which enables him to supplement and solidify the liaison between the civil populous and the forces and implement and enhance security and peacekeeping. Samir has been appointed Chairman All Pakistan Higher Education, Science & Technology Federation of Pakistan Chambers of Commerce and Industry since 2016 till December 2018. Further Samir is a Trustee and Advisor to various NGO Boards in Karachi, and also serves as Advisor to some of the top Educational Institutions of Karachi as well. He is a passionate and dedicated person with drive and is looking forward to continuing his humanitarian efforts under the UNAP Banner, to eradicate illiteracy and providing means of education for all. Rafay Aziz Shaik graduated from Royal Holloway, University of London with BSc Honours in Management and Accounting, while also further gaining Professional Certifications in Conflict Management, Counter Terrorism and Security Operations from London allowing him to be registered as Security Trainer/Consultant with the United Kingdom’s prominent Security Industry Authority. Rafay has a keen interest in technology and has strived for Pakistan to be able to access and attain the latest for its Security and National Disaster Management purposes thus his key area of focus under UNAP is on the development of better Security, Education, Health and Legal Rights for everyone in Pakistan. The United Nations Association of Pakistan (UNAP) is the peoples movement in support of UNITED NATIONS .Our objective is to fulfill fundamental functions: to maintain international peace and security, to promote development and to uphold human rights around the world. UNA Pakistan offers you the opportunity to be involved in the wide range of issues that confront the United Nations and Pakistan from human rights to peacekeeping, from greenhouse gases to clean water.